These Terms of Sale (the “Terms”) govern your purchase of the paid features for the WORKXID software and services (the “Product”) through the WORKXID Online Store (the “Store”). The Terms set forth your rights and obligations with respect to your purchases, including important limitations and exclusions. Your placement of an order on the Store constitutes your agreement that these Terms apply to the order. Please do not place an order if you do not agree to the Terms. WORKXID accepts major credit cards and PayPal payments. Currency is dictated by county of origin. You will be redirected from WORKXID’s website to PayPal’s payment site. Once directed to PayPal’s site, WORKXID is no longer responsible for protecting any personal and financial information that you provide to PayPal. 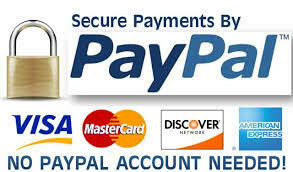 Your PayPal account and any activities/transactions occurred under Paypal’s payment site are governed by PayPal. When PayPal is used, your financial information is not shared with WORKXID. WORKXID does not store or have access to any financial information that you provide to PayPal. Once payment is completed via PayPal, PayPal will email you a receipt for your purchase. The price of the Product is net of any taxes and fees. You will be responsible for the sales and local taxes on your purchases where applicable. Your purchase of the Product is prepaid, final and non-refundable. There are no refunds or credits for partially used periods. Your cancellation of the Product before the expiration date will not entitle you to any refunds or credits. No refunds or credits will be granted to match any promotional offers or price drop. You may cancel your Product subscription at any time by contacting WORKXID via email accounts@workxid.com. After you cancel, your subscription WORXID will not be renewed, and your account will not be charged in the future. The features you have purchased will still be available until the end of the current subscription period. WORKXID reserves the right to terminate or deny your access to the WORKXID account in the event where your payment is uncollectable when it becomes due or WORKXID, in its sole discretion, has a reason to believe that you are in breach of any provisions in the Terms Of Service. WORKXID may make changes to any products or services offered, or to the applicable prices for any such products or services, at any time, with or without notice. Your use of the Product is governed separately by the Terms of Service and End User License Agreement, which are usually represented for your acceptance upon your first use of the Product. WORKXID reserves the right to change the terms and conditions of the Terms of Sale at any time.